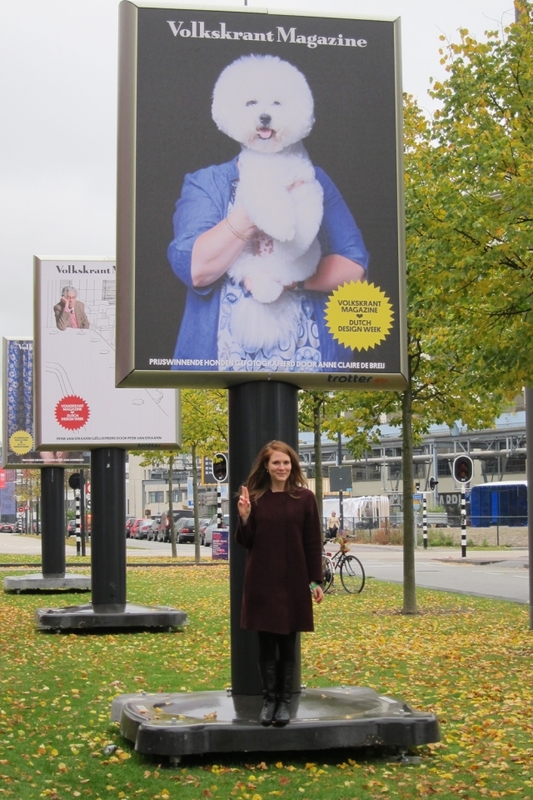 I’m on a billboard at the DDW in Eindhoven. Pretty pretty pretty cool! 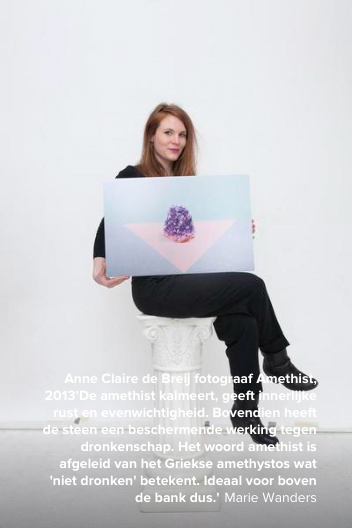 You can purchase the limited edition print I’m posing with in the picture until the end of december in the Volkskrant Boven De Bank webshop. There are still some prints available, don’t miss out! At the end of July the whole of Rotterdam comes together on the roof of an old train station to have some drinks, watch the summer sun go down, turn to the screen and watch a movie together: it’s the Roffa Mon Amour Film Festival. I was commissioned to shoot the promotional shorts, check them all out here! 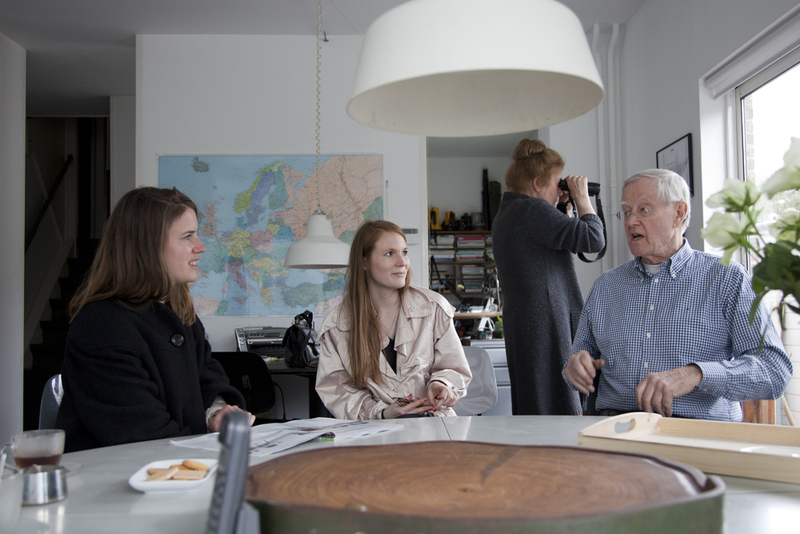 Volkskrant Magazine came by my studio to film during the photoshoot of Harry Piekema for the interview special. Two images from the Make Up Food series are selected as First Editions at Foam Amsterdam. Untitled (Pineapple) and Untitled (Nail Files) are exclusively for sale at Foam Editions from 10 December 2015 until 9 February 2016. Click here for sales info. 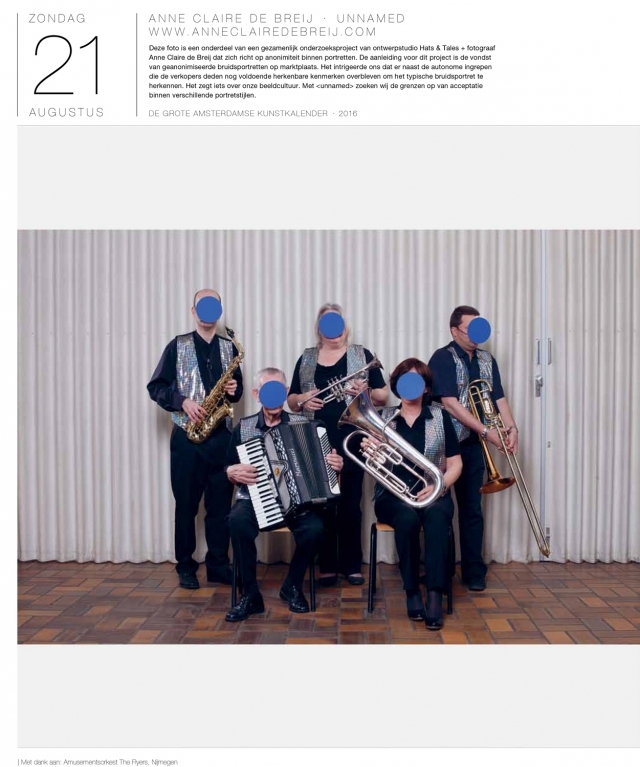 Our picture of entertainment orchestra The Flyers from the Unnamed project is featured in De Grote Amsterdamse Kunstkalender 2016. Buy your copy here! Our video installation Three Dancers premieres at The Night Museum at Shibaura House in Tokyo as part of the traveling exhibition of The Kama City Residency Biennale conducted in Kama city in Fukuoka. As a partner of the Biennale, the exhibition will be held on November 6 and 7. The exhibition is conceived as a night museum where visitors can experience works of art on the backdrop of the urban night scape. There will be talks affiliated with the artworks in the exhibition, alongside music and food to be enjoyed. I bumped into my picture at the Dutch Design Week in Eindhoven! From September 12 till October 17 the works that we created during the three months of The Future residency will be shown at the Oda Hiroki Museum in Kama City before continuing to other locations in Japan and The Netherlands. See the portraits of the residents I made. Bye Japan, back to Amsterdam! Thank you for all the sweet birthday wishes! I felt so lucky to celebrate my 31st birthday in Japan with fireworks, sushi, sake, even a special birthday cake and lots of presents. Happy happy joy joy! Super excited! I’m a selected artist for The Future Residency in Kama City! I will be in Japan from June till September working on my second photo book. 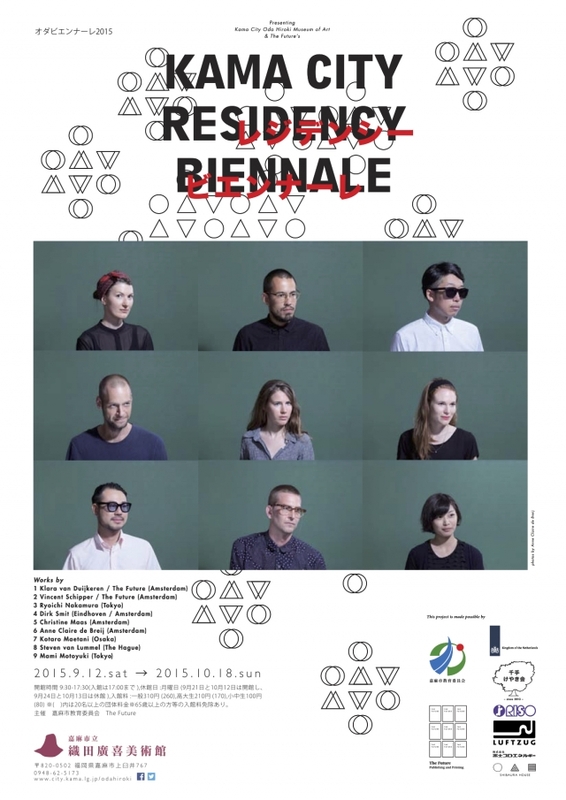 In the summer of 2015, various creative disciplines from Japan and the Netherlands will come together for The Kama City Residency Biennale in Southern Japan (Kyushu, Fukuoka Prefecture). 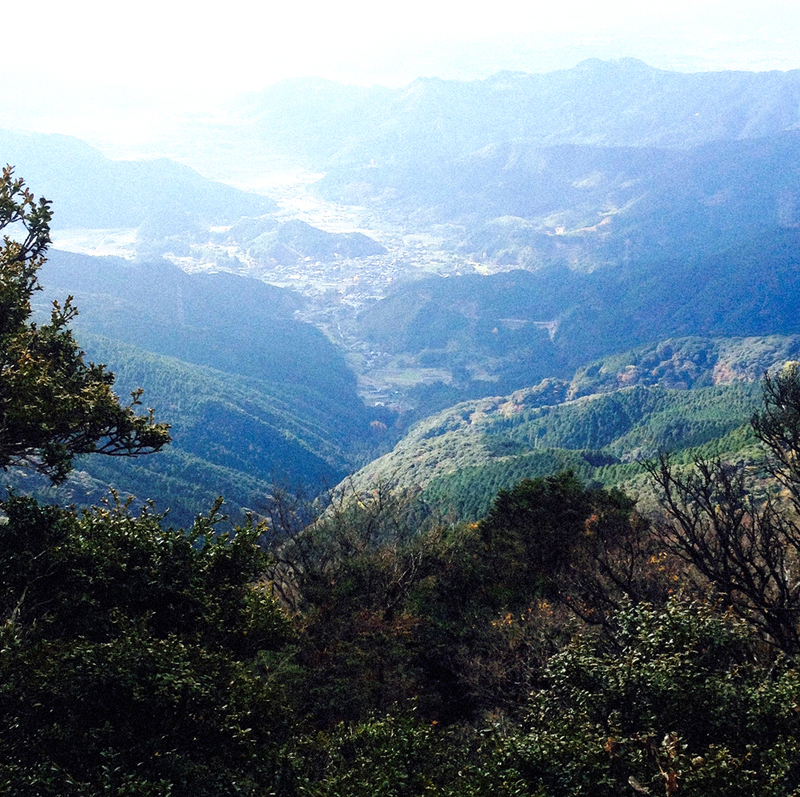 For three months, Dutch and Japanese residents will make the mountain city of Kama their home. They will create original work in close collaboration with local craftsmen and inhabitants inspired by the conceptual theme of Memory and the material themes Paper and Wood. 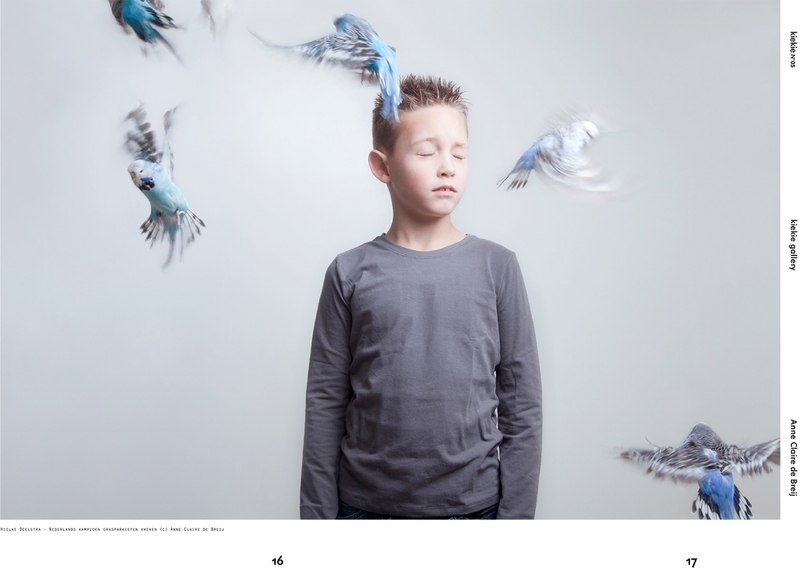 I joined De Fotoclub, an new initiative by Jessie van Iersel and Kim Erich. Our first group exhibition De Fotoclub Presenteert will be from May 22 till June 28 at the Melkweg Expo. Come and have a drink at the opening Friday May 22 at 6 PM, Marnixstraat 409, Amsterdam. 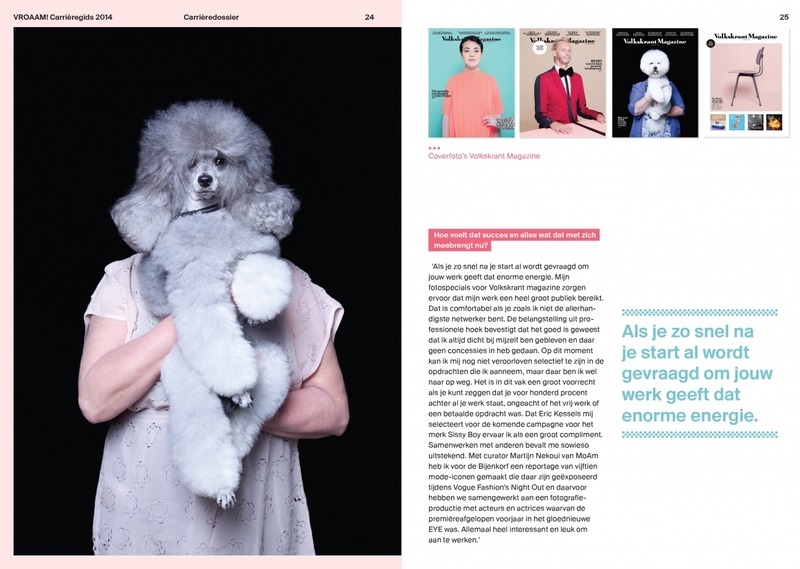 For their Boven De Bank project Volkskrant Magazine selected 13 artworks from photographers and illustrators with whom they collaborate regularly. You can buy a signed limited edition here or visit the Volkskrant Magazine pop-up gallery (from May 4 – 16) in the former Citroën garage next to the Olympic Stadium in Amsterdam. 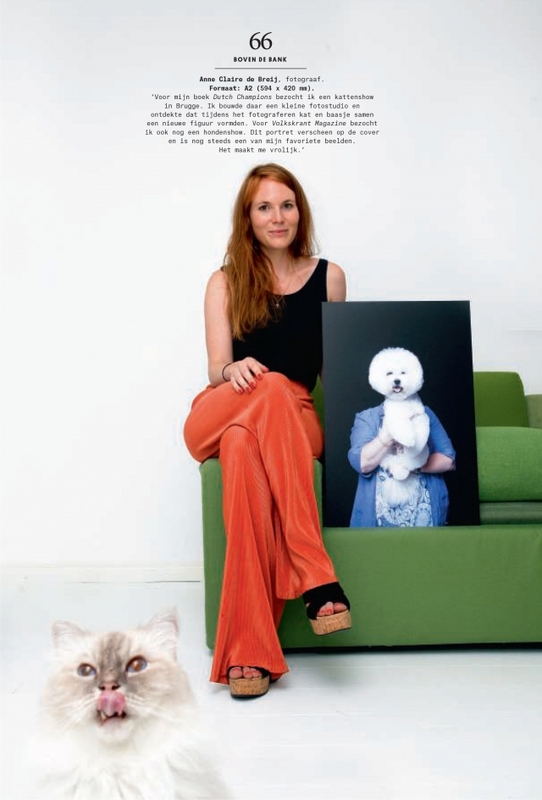 Check out my pictures of Sarah Keller in this weekend’s Volkskrant Magazine! Jaap Biemans, art-director of Volkskrant Magazine and founder of Coverjunkie, spoke at QVED 2015 in Munich and gave a shout-out to me and my friend and colleague photographer Aisha Zeijpveld. Thanks Jaap! Woohooo! Super happy with my new website. Designed by design studio Hats & Tales and code written by Jonas Vorwerk. Volkskrant Magazine followed me during a two day photoshoot for the article Omfietstaart, which focuses on the best cakes from the Netherlands. Check out the video! Foam asked me to make portraits of their visitors during Museumnacht. Together with set builder Jade Myrie I developed a special decor that changed during the evening in which visitors could have their picture taken. Fashion designer Duran Lantink helped out with the styling. We had big fun! 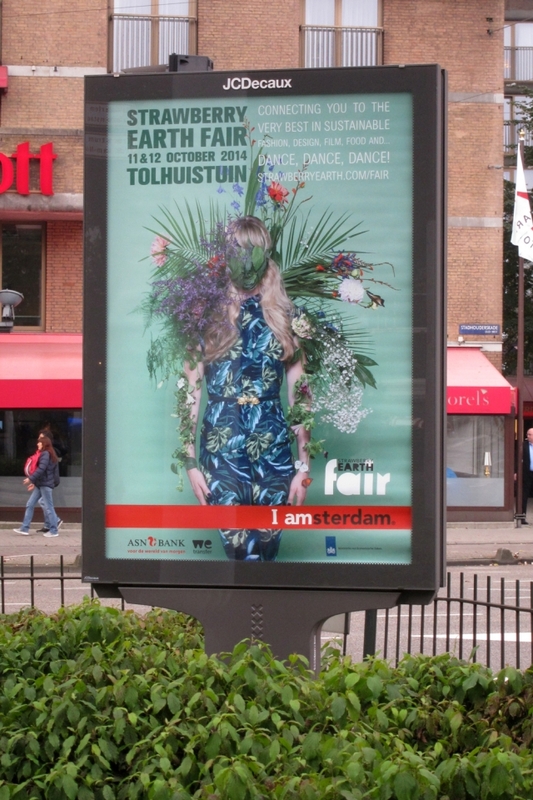 Check out the pictures I made for the Strawberry Earth Fair poster campaign, they’re all over the city! The exhibition can be seen on the fifth floor of De Bijenkorf Amsterdam from 1 – 22 september. 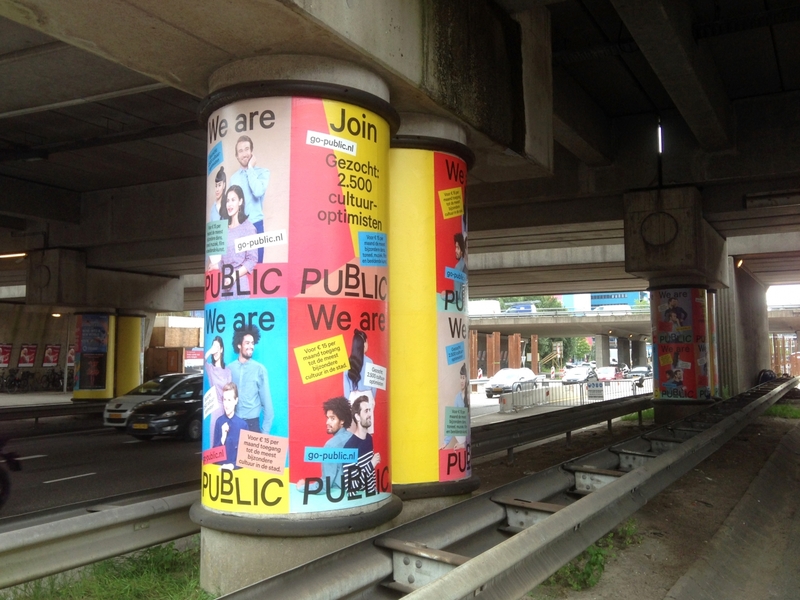 Check out the Public poster campaign in made in collaboration with Vandejong Creative Agency. 5 different posters and they are everywhere! I will now be represented by 100% Halal! 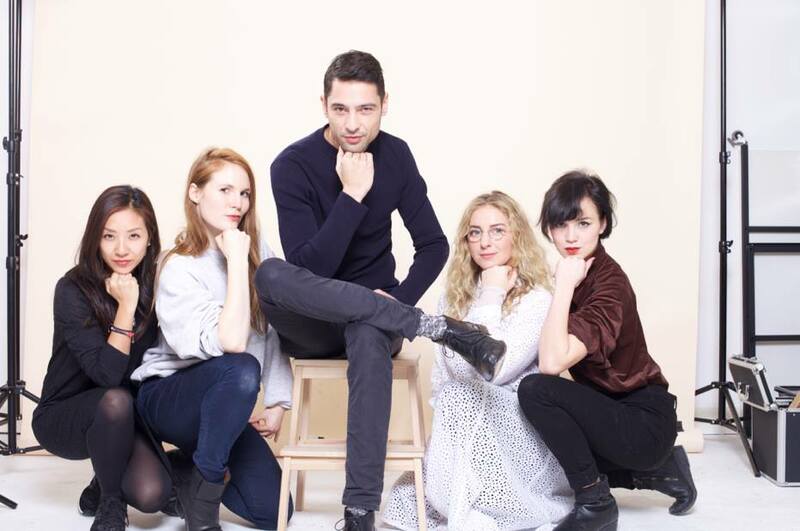 Group picture of the team after the photoshoot with Lucky TV’s Sander van de Pavert for the Interview special of Volkskrant Magazine. 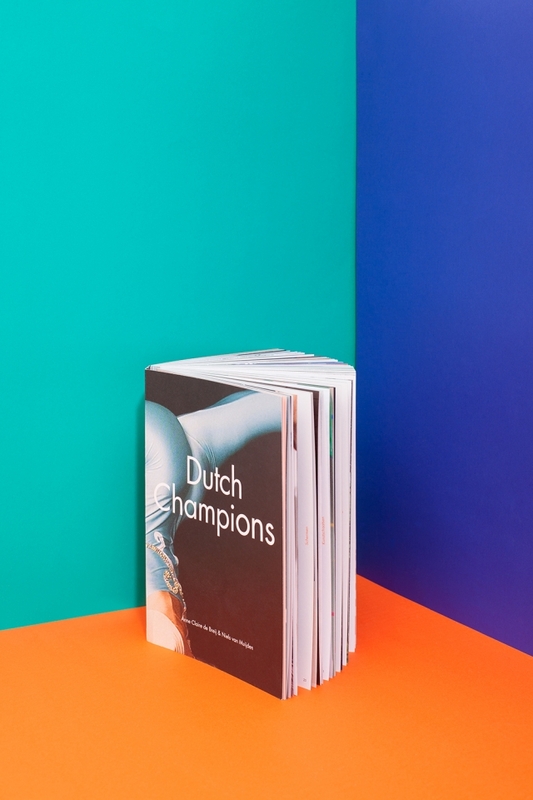 Hart van Nederland made ​​a nice item on the Dutch Champions photo book. 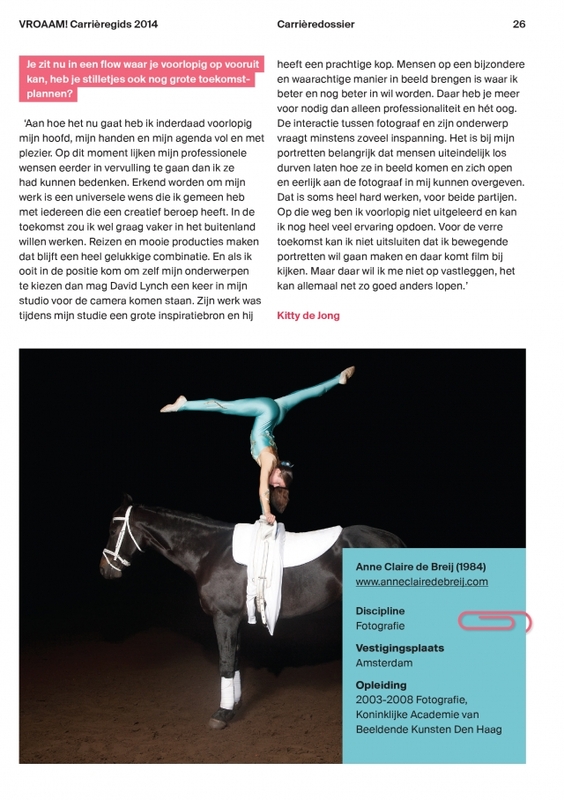 They interviewed us during the book presentation in Huis Marseille and visited Dutch Champions Pablo de Haas (Bikram Yoga) and Walter in ‘t Veld (Taxidermy) earlier that day, check it out! 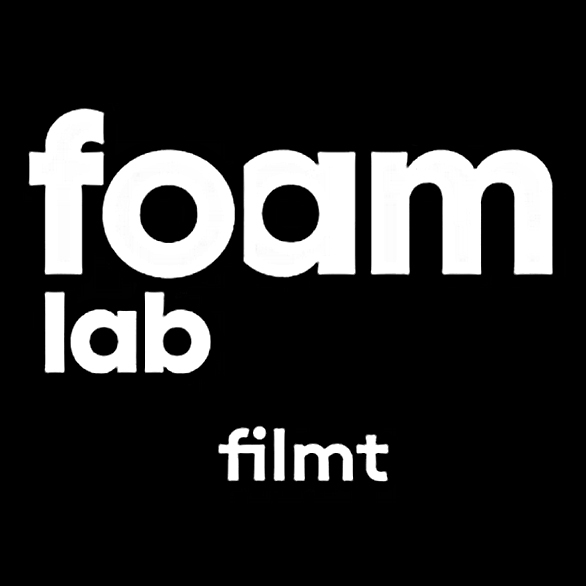 Check out this video portret of me made by the lovely people of FoamLab! 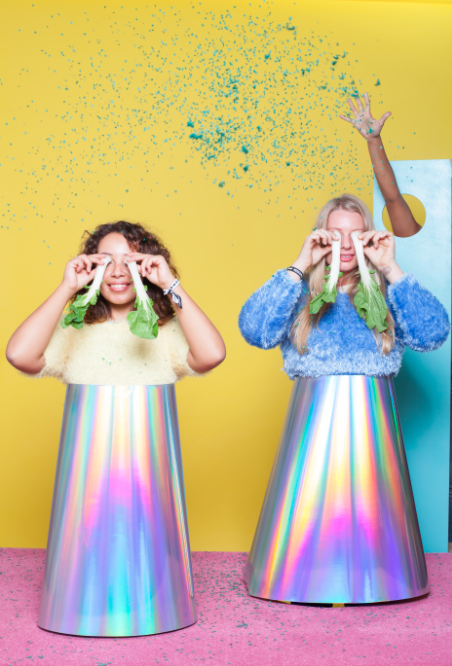 The fashion series Hej Hø Du Er Så Smuk, which I made in collaboration with Merel Korteweg is featured on Thisispaper! 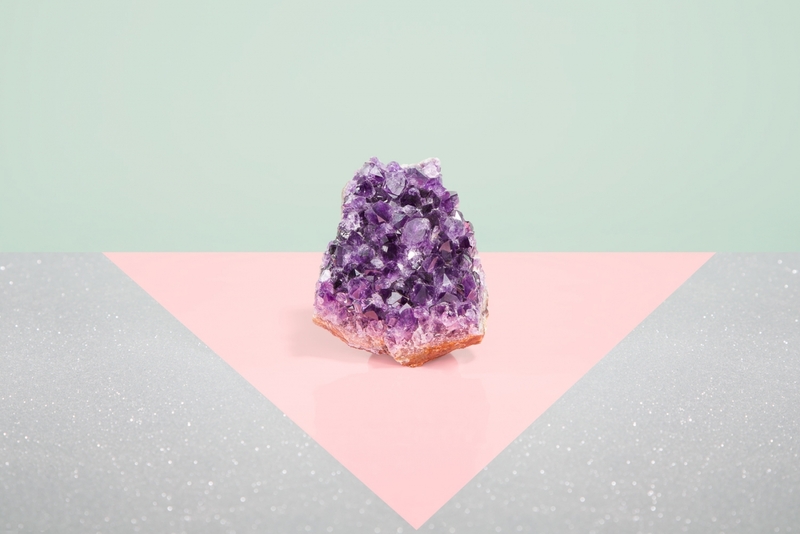 Nu.nl highlights the MOAM Talks exhibition. 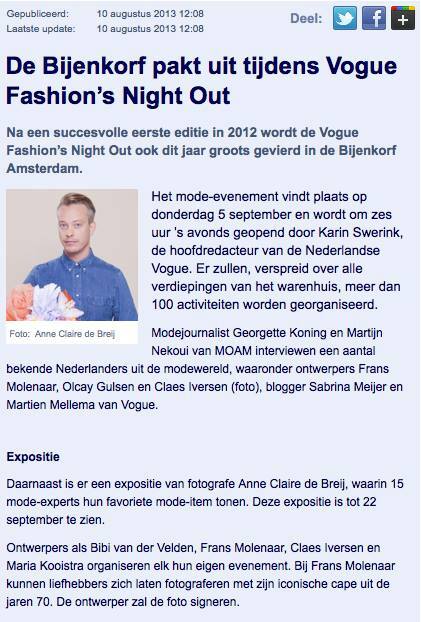 My pictures of 15 Dutch fashion experts will be shown during Vogue Fashion’s Night Out at the Bijenkorf Amsterdam! 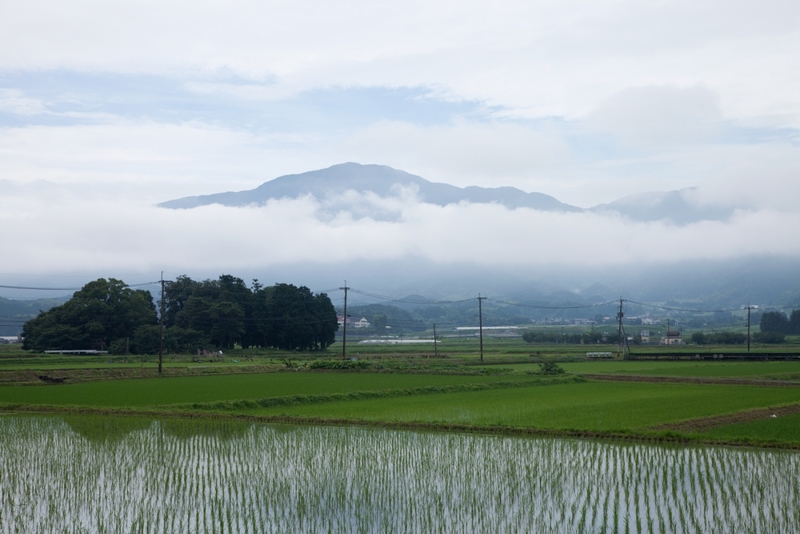 The exhibition will be held from September 5 to 22. We finished the MOAM Talks photoseries today. Olcay Gulsen was the last Dutch fashion icon we portrayed for the series. 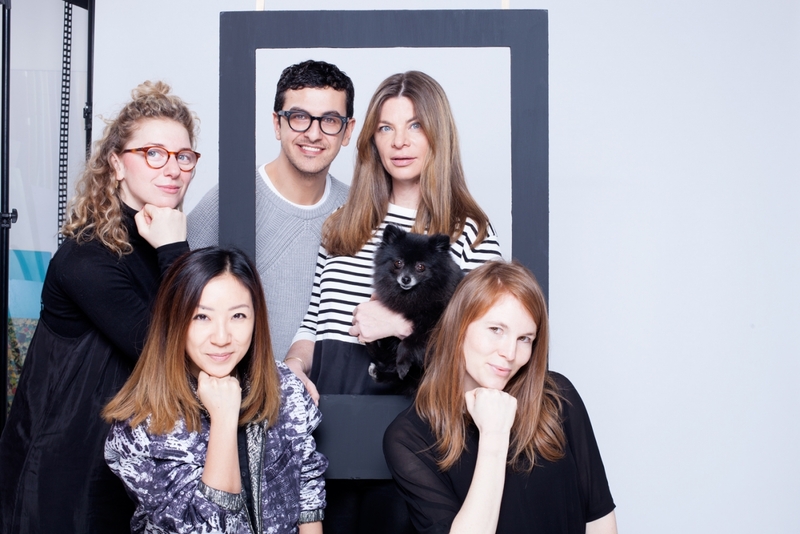 The exhibition of the 15 portraits is soon to be seen during Vogue’s Fashion Night Out in De Bijenkorf Amsterdam! I had the honour to photograph the 90 year old industrial designer Friso Kramer for the Design issue of Volkskrant Magazine. 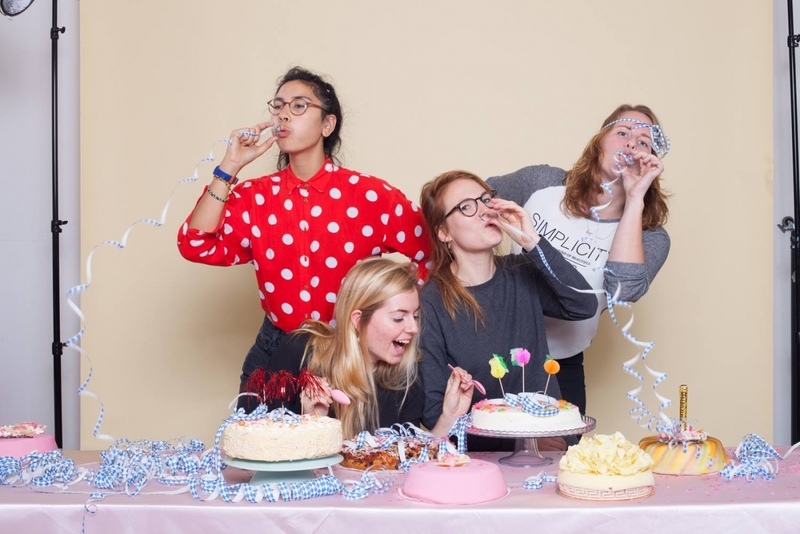 WE WON THE HUIS MARSEILLE PHOTO BOOK PITCH WITH DUTCH CHAMPIONS! During the Photo Book Marathon eight photographers with an idea for a book got a chance to pitch their plan to a panel of publishers and designers, including Dewi Lewis, Willem van Zoetendaal (Gallery van Zoetendaal) and Jim Casper (Lensculture). 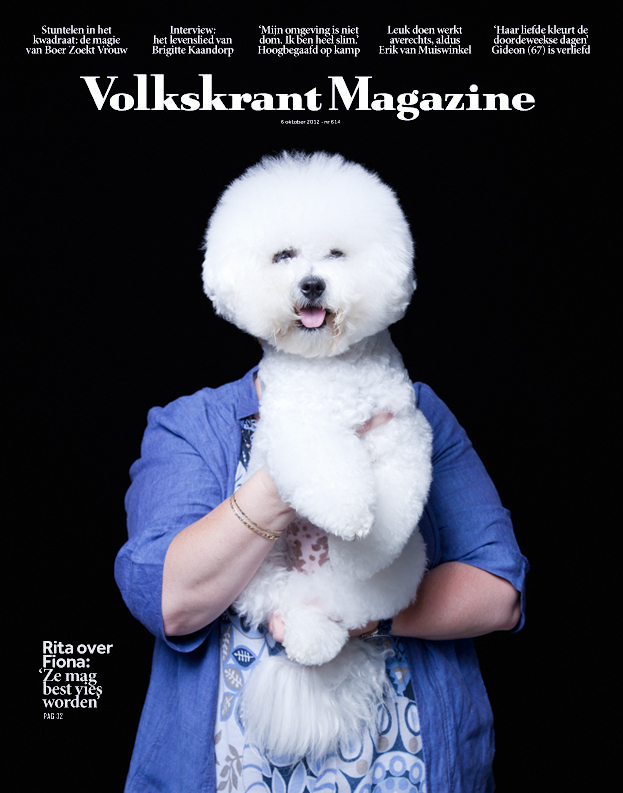 My very first Volkskrant Magazine cover! Plus a 7 page article! 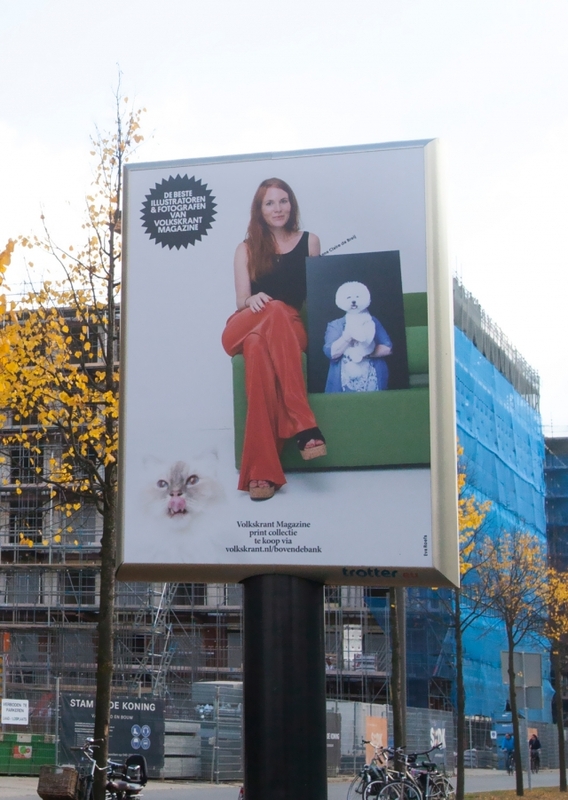 I received a grant from the Mondriaan Fund to realize the Dutch Champions project!